Some passages from Endocrinology of Social Relationships, edited by Ellison and Gray. In 1998, I hypothesized that when there are great apes with larger testicles, suggesting males competing with other males in an environment characterized by female choice, with sperm production becoming more important than muscle mass, the testosterone levels would decrease even though the testicles were larger. Testes produce both sperm and testosterone. I calculated that an emphasis on one would diminish the other. 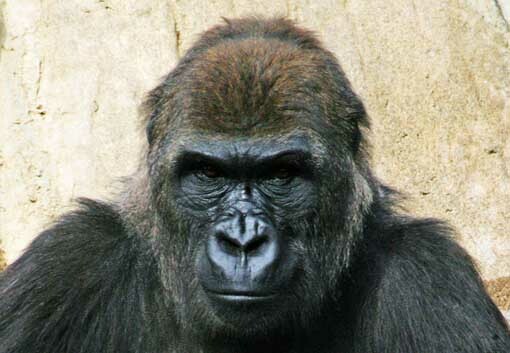 Gorillas have small testicles and patrifocal male control of procreation. Bonobo have large testicles with a matrifocal, horizontal social structure. The passages above suggest a relationship between testosterone production and social structure. Even testosterone fluctuations within an individual over time suggest that different procreation strategies are accompanied by different testosterone levels. If male testosterone levels are instrumental in the choices made at any time regarding degrees of cooperation or family orientation, and testosterone levels inform maturation rates, then there is a direct connection between social structure, maturational delay and acceleration. For reasons I do not really understand, there seems to be little academic attention directed toward the possibility that testosterone manages rates of maturation. Testosterone is associated with handedness, and left-handedness is associated with low testosterone. Left-handedness is associated with maturational delay. Yet, testosterone is rarely visited as related to maturational acceleration and delay. Even further from the minds of theoreticians is the possible influence of estrogen on the timing of the rates of maturation. Grasping that seems to require an understanding of how maturation rates change under the influence of testosterone. Human and nonhuman endocrine systems are moved by countless different variables in turn influenced by myriad environmental effects. Nevertheless, it seems central that social structure, which deeply influences evolution, is guided by a balance between testosterone and estrogen levels. These levels change according to the season, the environment and the circumstances of life. As these changes occur, maturation rates and timing transform and evolution happens. This entry was posted on Tuesday, March 30th, 2010 at 6:36 am and is filed under Biology, Social, Social Structure, Society. You can follow any responses to this entry through the RSS 2.0 feed. You can skip to the end and leave a response. Pinging is currently not allowed. Does http://www.neoteny.org earn enough for you?